Streamlined, elegant design, plus comfort & durability. Equally at home indoors or outside, all-weather rattan graces your Mexican living room with a casual, inviting feel. Beautiful elegant design, plus comfort and durability. Hand-crafted in Mexico by our all-weather rattan artisans. This all-weather rattan sectional will grace your Mexican living room with a casual inviting feel. Use it as an indoor living room ensemble, place it in your Mexican outdoor terrace or patio area, or to welcome guests and have meetings in your office or place of business in Mexico. 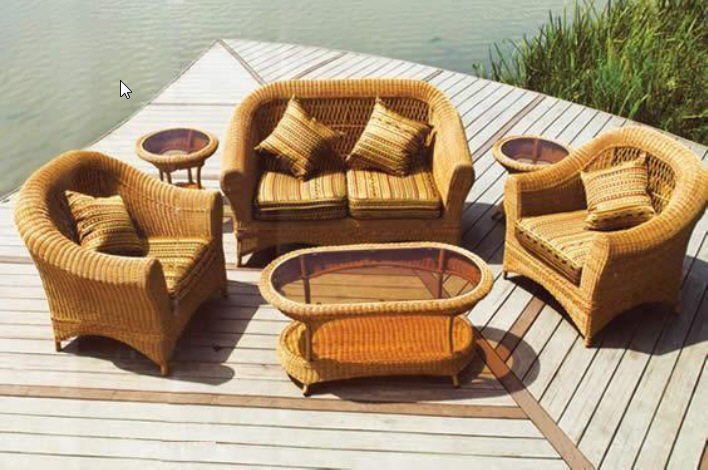 Sturdy all-weather rattan woven over aluminum base. Available in white, caramel or chocolate (dark brown) weave. Seat cushions are included. Please order well in advance.